Information about new mathematical objects is posted in the separate topic. 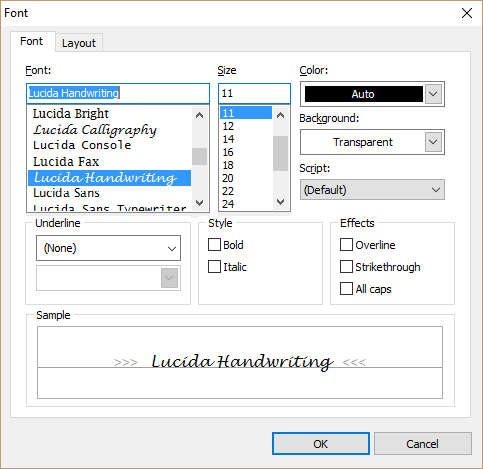 TRVFontComboBox is a combo box that can be linked to TRichViewEdit or ScaleRichView editor to apply font to the selection. 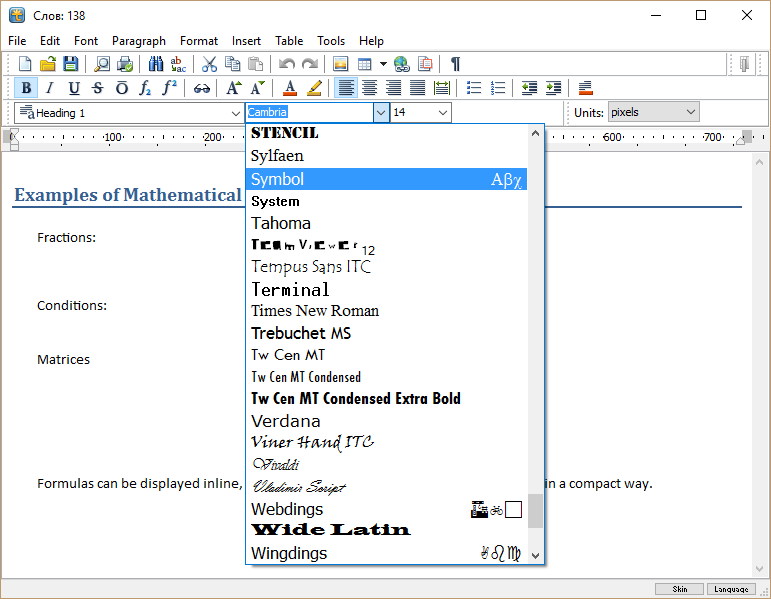 In this version, this combo box can preview fonts. It does it by default. To turn off this feature, assign False to Preview property. The combo box can correctly display mathematical and high fonts. For symbol fonts, it displays a preview at the right side. If BiDiMode=bdRightToLeft, alignment is reversed. In ScaleRichView, TSRVPageScroll component displays a preview of pages. You can find it at the left side of the main window of the ScaleRichView ActionTest demos. Unfortunately, this component might slow down editing. In some cases, its redrawing is even slower than redrawing in TSRichViewEdit editor! We solved this problem in this update. Now, this component is updated not immediately after each change, but after a small period of time (specified in the ChangeDelay property). If multiple changes occur (because of fast editing or a text selecting), updates are delayed even more, until the user finishes editing. So multiple fast consecutive editing operations cause a single redrawing in the page scroller, and it does not slow down editing any more. There is one more change I want to mention: widths of table columns when working with RTF and DocX files. Their calculation is not trivial, because not only BestWidth properties of cells, but also border widths, spacing and padding affect values that must be written or read from Microsoft Word files. In this update, we improved calculation of table sizes in RTF and DocX: now they are calculated exactly like in MS Word (when it's possible, because TRichView tables are built using HTML model, not MS Word model).